Less persistent in the environment than other solid deicers. Quickly biodegradable even at low temperatures. Minimally toxic to fish and mammals. 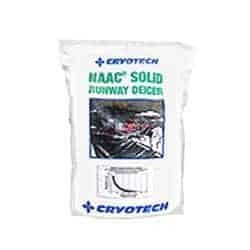 Sodium Acetate (NAAC) contains no chlorides yet has excellent melting properties. It works faster than urea and sodium chloride and requires less material to achieve similar effectiveness. Sodium Acetate is exothermic, giving off heat as it dissolves, melting ice faster than common deicers. It works like calcium chloride, without the chloride-induced corrosion. 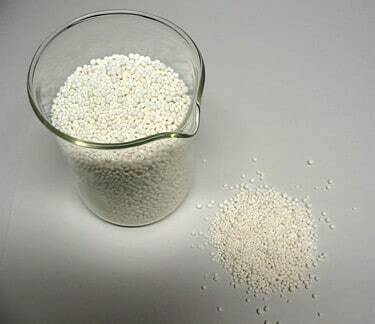 Sodium Acetate has excellent ice melting properties in the form of an Anhydrous pellet that contains 97% active ingredients for high performance. It requires less material than common deicers to achieve similar effectiveness and is active to Active to about 0°F.